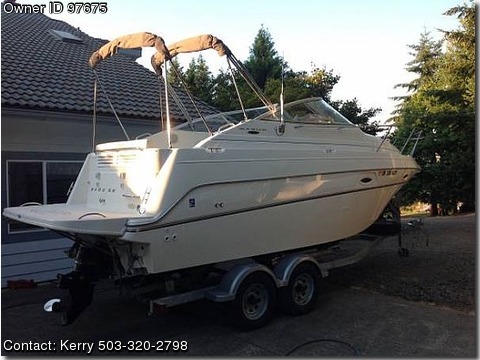 Please contact the owner directly @ 503-320-2798 or OR.quist@yahoo.com…Very clean low hour boat with a 132 total hours . The boat is equipped with a full camper package enclosure shore power ,hot wart heater hooked up to motor ,out side shower, fridge ,stove top, microwave , holding tanks , shore power with cord . The motor is equipped with fresh water cooling . The out drive is a bravo one. The trailer is a 2007 galvanized trailer .